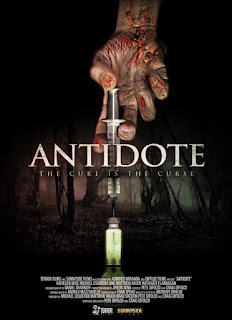 In the grip of a devastating pandemic, Kate Flanagan and Michael Izquierdo wander through the wintry wilderness seeking a cure for the devastating virus that has recently infected him. 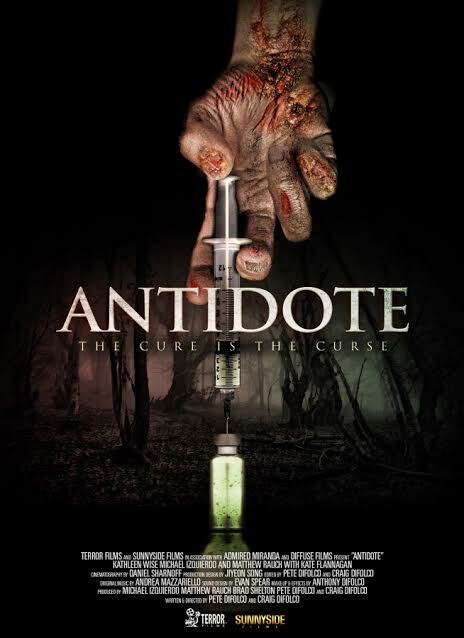 Unfortunately, the known “antidote” is known for deadly side effects. This modest, mostly two-handed, character-driven cinematic apocalypse unfolds over a few days and documents Izquierdo’s physical and mental decline. Largely avoiding the obvious gross outs, it’s appropriately doom-laden and starts out eerily evocative, but treads a ponderous and dramatically flat path to an underwhelming resolution. In a film like this, the performances need to be compelling, but the two leads are functional at best and their back-story the stuff of daytime TV drama. The low-key, underrated Scottish movie THE DEAD OUTSIDE (2008) tackled this kind of approach in a much more satisfying fashion.